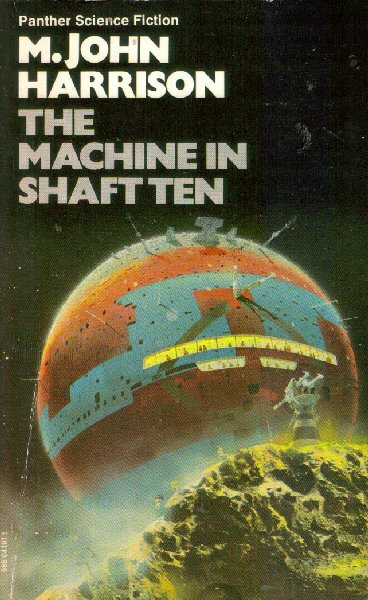 Other lists: Immortality in SF, Generation Ships, and Overpopulation in SF. 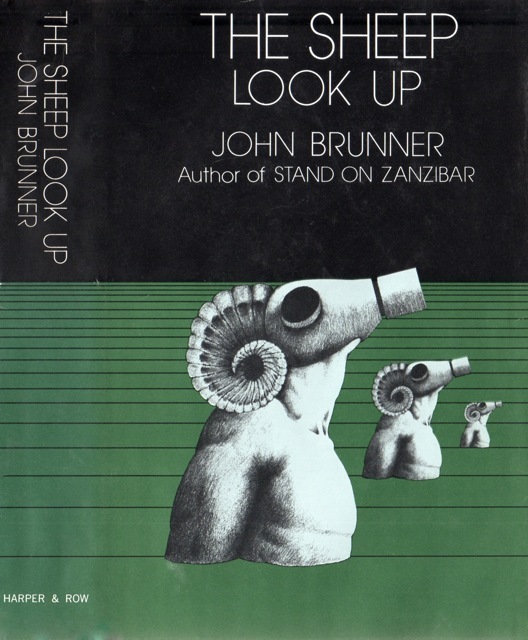 John Brunner’s The Sheep Look Up (1972) would easily make my top fifteen SF novels of the 1970s—it’s far better than anything else he produced in the decade, although some might argue that The Shockwave Rider (1975) comes close. 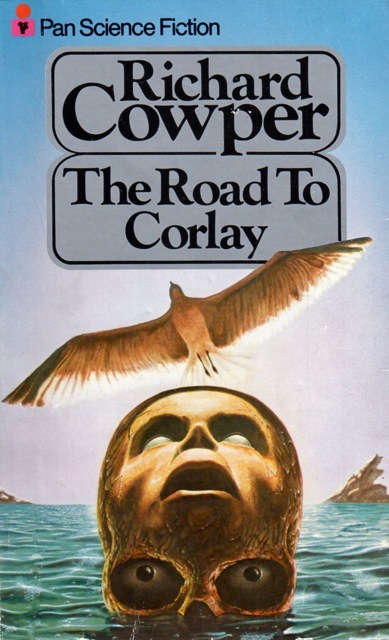 Other than the novel’s unforgettable power, the first edition cover by Irving Freeman and Mark Rubio for Harper & Row remains seared in my memory. 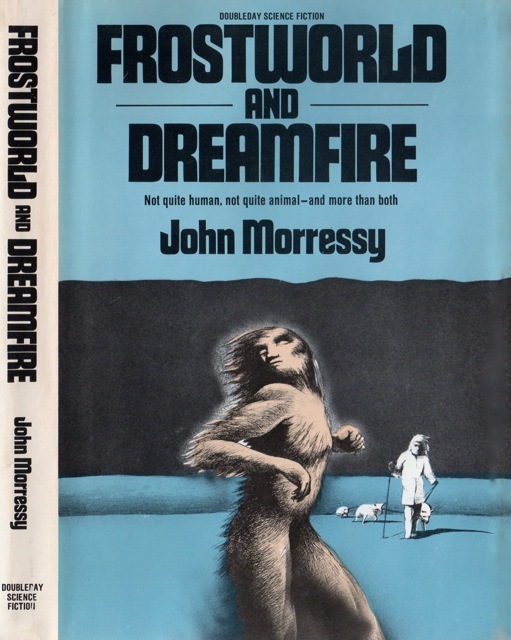 The 1973 Ballantine first edition paperback also used the same art. 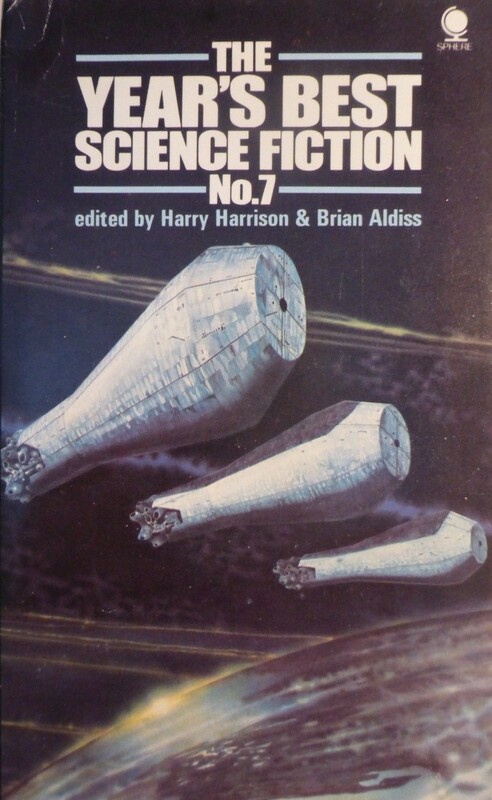 The Clarion Science Fiction Writers’ Workshop, started in 1968, continues to this day as one of the successful workshops for authors with instruction by the best the genre has to offer. 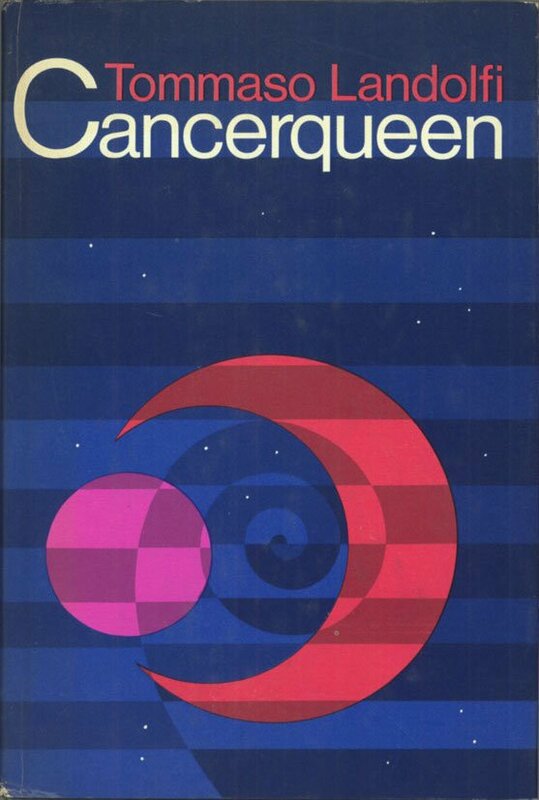 The alumni list is massive including Vonda N. McIntyre, Octavia Butler, Ted Chiang, Lucius Shepard, Bruce Sterling, etc. For more on the workshop consult the SF Encyclopedia entry. 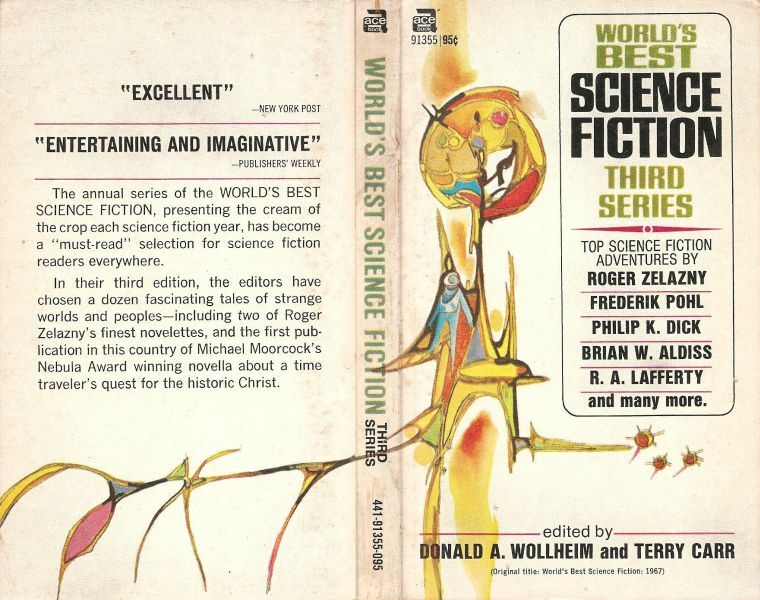 Robin Scott Wilson, the original director, published three anthologies decked out with the distinctive art of Gene Szafran. I am now the proud owner of all three! 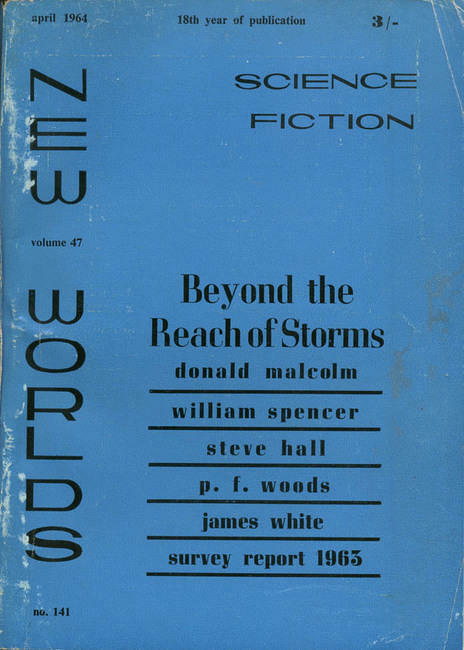 Stories by Ursula Le Guin, Kate Wilhelm, Octavia Butler, George Alec Effinger, Edward Bryant, among others and reflections by the greats of the day, Frederik Pohl, Joanna Russ, Harlan Ellison, etc. And many many many less familiar authors whose stories I will be keen to explore. 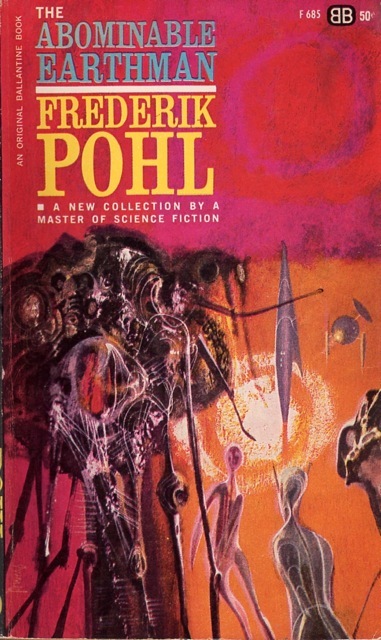 And, last but not least, A Frederik Pohl collection with a stunning Richard Powers cover. He was in fine form in the early 60s. 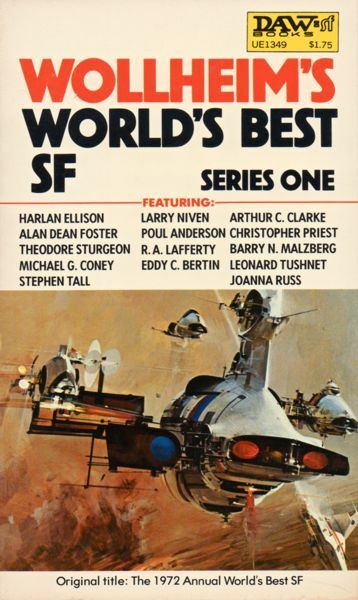 Two themed anthologies—one in “honor” of the election [*cough* I mean, well, I won’t go all political] year cycle… Another on one of my favorite SF themes, television of the future! 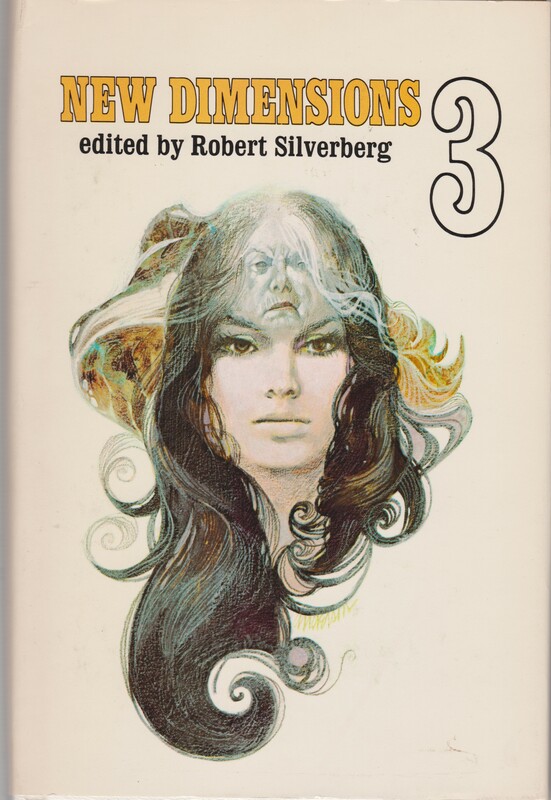 That said, both Asimov edited collections (from the 80s but with stories from only earlier decades) have a serious fault: out of the combined 35 stories there is not a single story by a woman author. 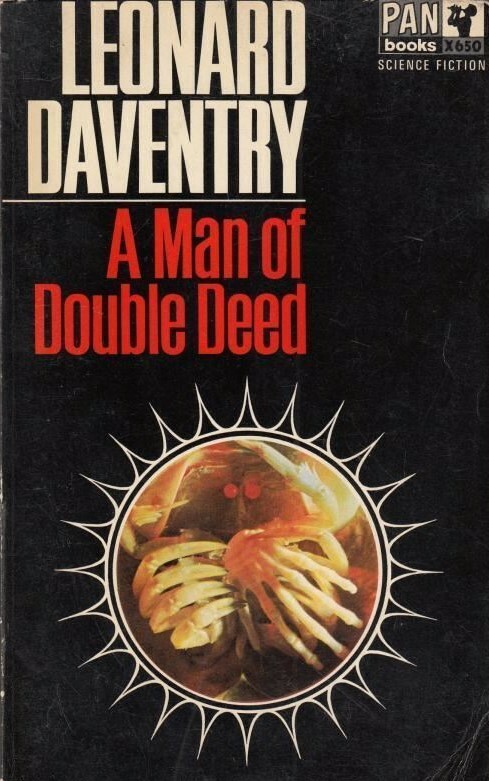 I’ve read a vast number of 60s/70s collections which do not fall into this trap…. Orbit 1 (1966) almost manages gender parity! I can think of numerous stories by women authors that fit both themes. 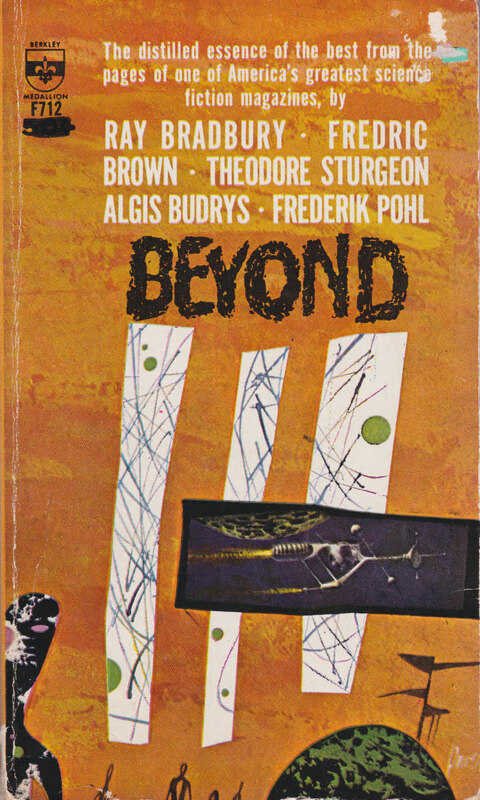 For example, Kit Reed’s wonderful “At Central” (1967) fits the TV anthology! 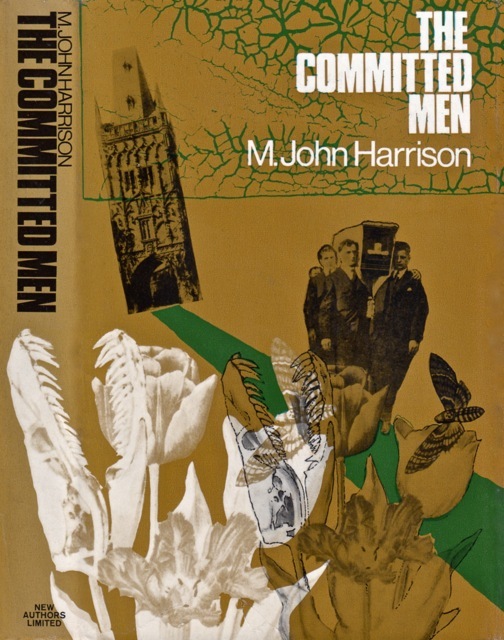 A hard to find for cheap early M. John Harrison novel…. Unfortunately I only found a much uglier edition that the one I show below as the rest were out of my price range…. 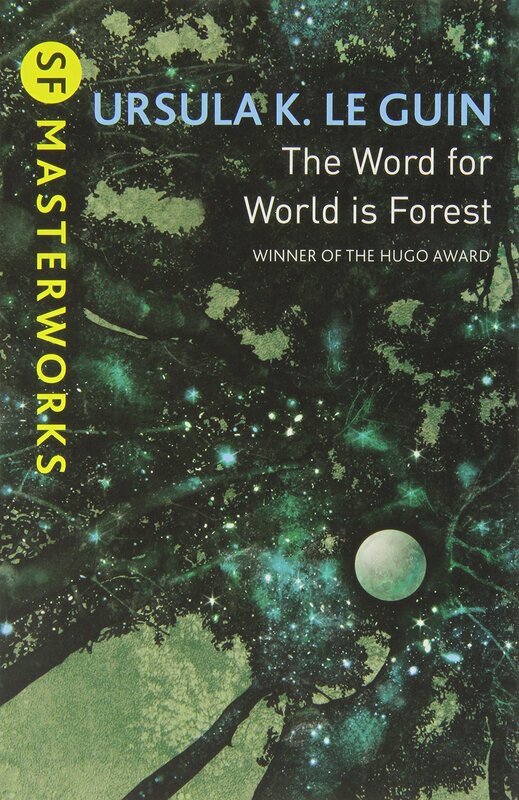 And, a complete shot in the dark—a SF novel by the mainstream French/Lithuanian novelist/screenwriter Romain Gary, the author of White Dog (1970)..
As always, I’d love to hear your thoughts + comments. 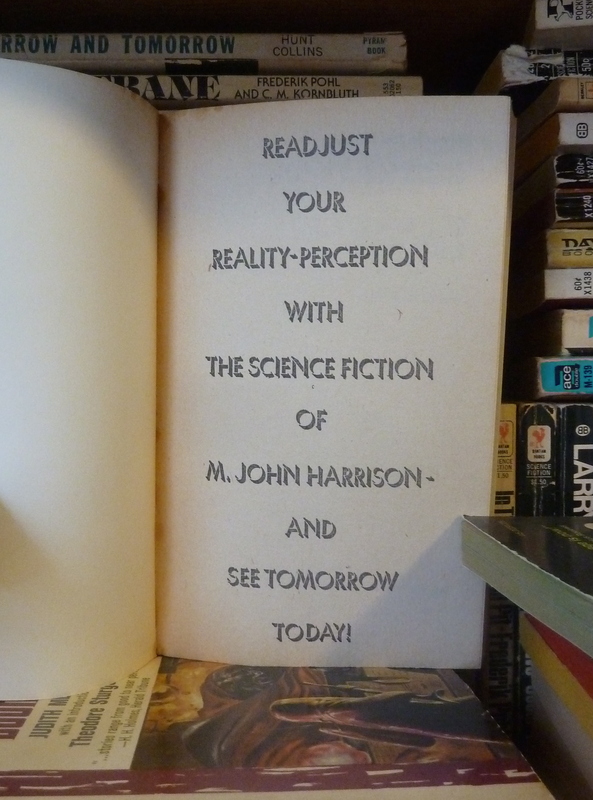 Don’t worry, I certainly intend to “see tomorrow today!” I’ll be disappointed if I can’t! 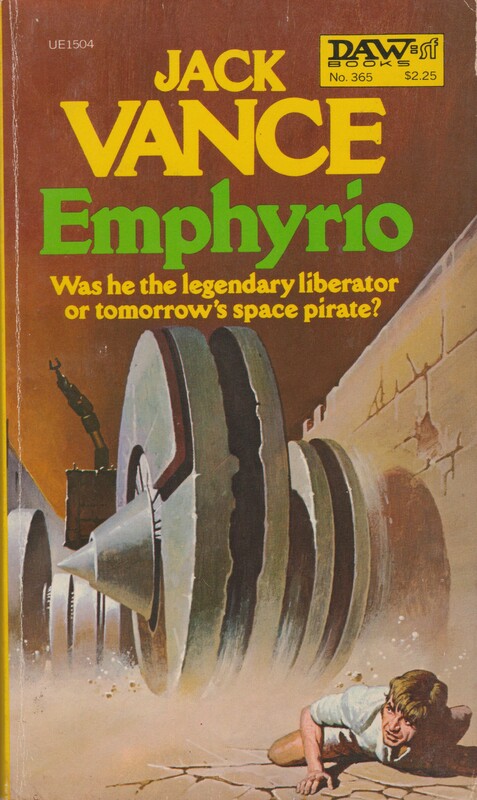 The others are a strange blend… From Edmund Cooper’s apparently anti-Free Love/60s culture Kronk (1970) to a delightful collection of another one of my favorite years of SF. 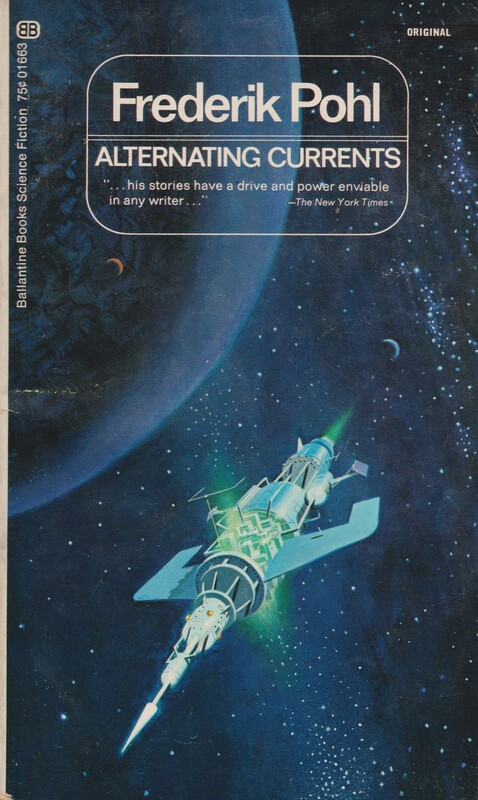 Also, I seldom accept advanced reader copies due to my limited time/limited interest in newer SF/and incredible mental block when it comes to, how shall I say it, outside forces guiding my central hobby which tends to take me in a variety of directions solely on whim. 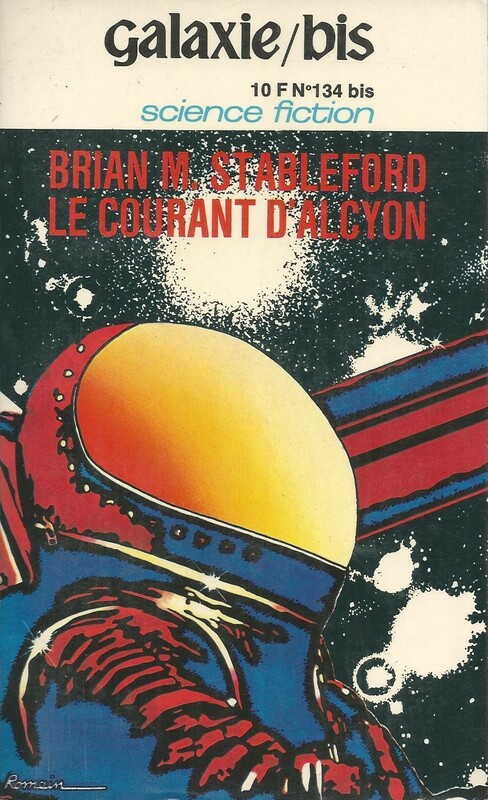 But, Gollancz was nice enough to send me their new omnibus collection of 1970s Michael G. Coney novels (amazon link: US, UK). Not only did I enjoy Hello Summer, Goodbye (1975) but I recently reviewed and loved Coney’s bizarre and original Friends Come in Boxes (1973). With two out of two successes it’s hardly like I wouldn’t buy his work on sight anyway (another one of my requirements when accepting AVCs)…. I will review two or three of the novels in the omnibus one at a time over the next few months.